Update: since I wrote this piece two excellent features have appeared on other sites. 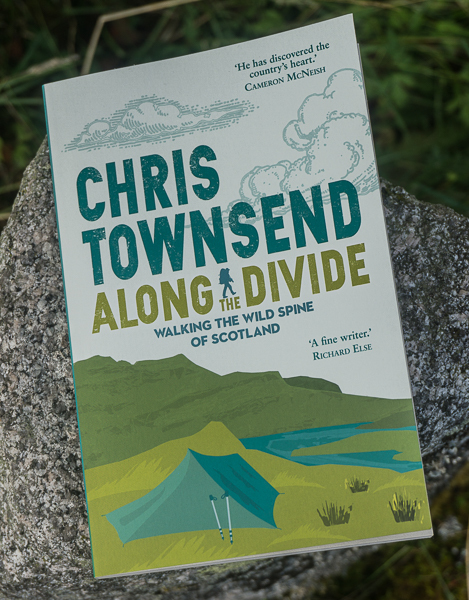 Cameron McNeish has written about wild land, what it is and why it needs protection for Walk Highlands and Alex Roddie has written about the proposed Caplich wind farm and the North West Highlands initially on his blog and then in an extended version for UKHillwalking.com. Both pieces are well-worth reading. Also, the Mountaineering Council of Scotland has issued a new vision for Scotland's mountains and wild land along with a petition on 38Degrees which I urge everyone to sign. The future of wild land in Scotland is in the balance. Since the encouraging new planning regulations and the wild land map were launched last June (see my post here) only a few wind farms that would impinge on wild land have been turned down. Many more are awaiting a decision. Whether these are rejected or not will determine just how meaningful the wild land map really is. I echo Cameron McNeish’s recent call for the Scottish Government to state now that no wind farms will be built on wild land areas. That, it seems to me, is one of the points of the wild land map – to say that this land is protected so proposing wind farms or other destructive developments is pointless. One of the key decisions, long overdue, is about Allt Duine, a proposed wind farm right on the borders of the Cairngorms National Park. This is the fight I’ve been most involved in, as spokesperson for Save theMonadhliath Mountains, with many letters appearing in newspapers as well as several blog posts, the key one of which describes a walk in the Allt Duine area and shows with photographs just how wild the area is. As well as Allt Duine decisions are awaited on Talladh-a-Bheithe on the edge of Rannoch Moor which I wrote about here; Cnoc an Eas above Glen Urquhart not far from Loch Ness; Caplich above Glen Oykel in the North-West Highlands (Alan Sloman has written excellent posts with detailed maps about the last two on his blog here and here); and Beinn Mhor on the edge of Glen Affric (Highland Council will make a decision on this on February 24th). These five are the most potentially destructive currently proposed wind farms in my opinion. They are not the only ones of course. Highland Council has recently produced a Wind Farm Map of the region that shows all suggested and built wind farms that is very useful for seeing the possible spread of wind farms into wild land. Then there is Stronelairg, a huge wind farm in the Monadh Liath that was excluded from the wild land map, though it should not have been. Planning permission has been given for this but the John Muir Trust are mounting a legal challenge. Please support them. Note: anything I post about wind farms usually gets some responses about the whole issue of wind farms, climate change and wild land in general. I gave my view here. I haven’t changed it. And no-one is going to persuade me that wild land is not worth fighting for or that sacrificing it is necessary to combat climate change. I'm hoping for the best, but fear the worst. It does feel like we are reaching a watershed. If these projects go ahead, then it opens the door for more. Hopefully, the planners and politicians will see sense. I've registered my objections where I can. I don't live in Scotland so perhaps I've missed this bit why isn't this a matter of national debate in Holyrood. Scotland is about to loose something special and distinctive to it as a nation. Since those posts of yours, Chris, I think a few new argumentative strategies have emerged from the "green" side (or at least, they have taken centre stage, in some form or other they were there even then). 1) There is no such thing as wild land in Scotland, it has been man-made for centuries (the point may be well taken, but it is utterly mysterious to me how this remark has any bearing on the industrialisation of the hills; if anything, the point should support *increasing* and *restoring* land to a wilder state, rather than dumping industrial structure all over it); 2) Views are of no importance when it comes to combating climate change (the point is rubbish, but more importantly it overlooks the fact that it is not just views that are lost, but land that will never be restored to its original status because of costs and so on); 3) People don't care (true, and the hills are now being viewed as commodities, so the easier the access the better, hence wind farm tracks will actually facilitate the enjoyment of the hills for more people); 4) The Independence Argument (keeping hills as they are now amounts to perpetuating the (English) Victorian view of Scotland as the playground of a privileged few who like to keep things as they are; the "new" Scots, by contrast, want to exploit the natural resources (strictly "renewable" ones, of course!) and re-industrialise the Highlands. These are the points that need addressing now. I'd be interested to hear your rebuttal of these now very common responses to complaints re wind farms in the Highlands. These arguments aren't new Andy. I've heard them many times over the years. With the first one I agree with you. Wild land needs restoring not damaging further. I think there is wild land in Scotland though, as does Scottish Natural Heritage who define it as well as producing a Wild Land Map. There isn't much pristine wilderness (some summits and plateaux) but there is wild land. Views I think are part of the whole experience of nature and wild land and are actually very important. To say otherwise is to say that beauty and nature are unnecessary. That people don't care isn't true. 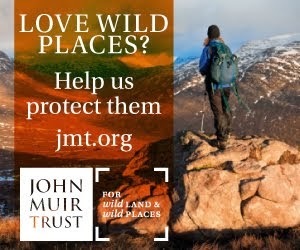 Surveys show that most people in Scotland support protecting wild land. To quote SNH 'an SNH survey found that 91% of the Scottish population believe it is important to retain wild places, and half the people interviewed believe that they are under threat from new development. More recent surveys, such as one undertaken for the two national parks and SNH have revealed similar levels of support.' (http://www.snh.gov.uk/protecting-scotlands-nature/looking-after-landscapes/landscape-policy-and-guidance/wild-land/). I'm not in favour of keeping the hills as they are. I'm in favour of rewilding them. As it is wind farms mainly benefit already privileged landowners who are paid vast sums for allowing them on their land. I think land reform is greatly needed. Also, there has been strong opposition to many wind farms from local people. I don't think there are many people who want to industrialise the Highlands. Won't argue with any of that, perhaps apart from the issue of how many local people oppose wind farms. No doubt many do, but there seems to be lots of people who either don't care or welcome them thinking it brings jobs. Regardless of that, I think perhaps at this point in time the new strategy to defend the hills from wind farms, and given that off-shore wind is not taking off (! ), there will be increasing pressure on the Highlands, as Alan Sloman's maps show only too well, so perhaps the new strategy worth pursuing is the rewilding argument. Sure, that'll get farmers up in arms, but it seems better to have an alternative strategy to industrialisation rather than simply saying let's keep the hills as they are because then folks start talking about the need for change and all that. 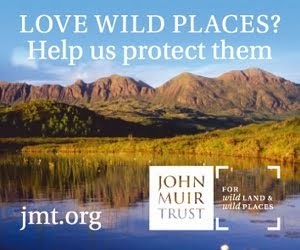 Maybe the recent letter from JMT, NTS and others could be developed into a joint rewilding strategy? A common policy of native woodland plantation and species reintroduction, making Scotland a near unique example of regeneration? That would be something to grab people's attention and sure enough wind farms are incompatible with that, given that all parties agree they are incompatible with e.g. eagles and certainly with woodland given that they always clear that away. Whatever one does, this mission creep effect must be stopped, the Westward march of the turbines towards Assynt and Torridon is absolutely frightening. Thanks for your efforts! Promoting rewilding is certainly needed and perhaps the organisations already doing this - JMT, NTS, Trees for Life, RSPB, even SNH (Creag Meagaidh and Beinn Eighe as examples) - could promote it more and work more closely together. It will be very interesting to see what happens with these applications. -The current farce at Longannet; the possible closure is due to wind capacity making it uneconomic to operate, meaning that the economics behind 100% wind are starting to come undone. Chris, you say "Highland Council has recently produced a Wind Farm Map of the region that shows all suggested and built wind farms that is very useful for seeing the possible spread of wind farms into wild land". This map does not show 'suggested' wind farms, only those already built or in construction. (Apart from the already constructed/in construction developments which Highland Council missed). HC do tell us that the wind developments at the various stages of planning will be added soon, but the feeling by many is that this updated map showing all wind farm sites will be delayed until well after the general election, and will give a horrendous picture of the damage which will be inflicted by wind developments. This of course will be developments on wild land, and others on 'not so wild land'. Also, I hope that if you had a top six rather than a top five, 'most potentially destructive currently proposed wind farms, then Carn Gorm on the slopes of Ben Wyvis would fit in this list. The Carn Gorm development will be impossible to miss for anyone heading north of the Great Glen no matter which route they take. All this talk of "destruction" is rather overblown when all people are really complaining about is the subjective impression of spoiled views. On the other hand, unmitigated climate change threatens real destruction of habitats and species on a global scale. Some sense of perspective is badly needed. Noel, I know your arguments. You are completely wrong and very naive (you think destroying wild land in Scotland will affect climate change). I don't wish to go through all this again. I have been critical but not rude or abusive. I have expressed a reasonable point of view and I have reasonable arguments to support it. This is a very important issue which needs to be discussed. This is how we process information as a society, by public discussions in our media, such as this blog. You can choose not to host a public discussion if you like. Or you can choose not to address certain subjects. These would be reasonable choices. What you can't reasonably do is create special rules for specific people based on personal prejudices and intolerance of open debate. Any rules you apply to posters must be equally applied to all otherwise your own conduct becomes the issue not the person whom you have targetted. If you want to advise me of any fair rules which you apply equally to all please to do so but I don't intend to avoid any forum of public discussion simply because there is someone there who doesn't agree with me. Disagreement can be the starting point for an interesting discussion which leads us all into examining the evidence in more detail. Don't take it personally. Noel I have not said you can't post here. I have said I have no interest in going over the same ground again. I want a discussion on how we can stop the destruction of our wild land. Your arguments in favour of destroying wild land were well aired on another of my posts. I don not wish to go over this ground again. I have made my position clear - see the link at the end of the post. I am not going to change my views. You say you have not been rude. Saying 'all people are really complaining about is the subjective impression of spoiled views' is dismissive and insulting. Also, this is my blog. It is not an open forum. I can allow comments or not allow comments as I choose. 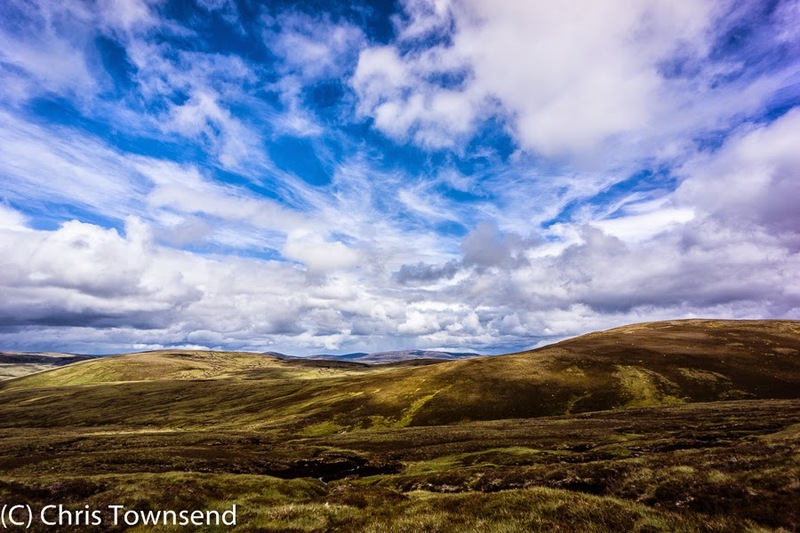 I do remember a previous discussion on this blog but I'm pretty sure the issue of wind farms in the Scottish uplands hasn't gone away - so here we are again. Of course you have the power simply to ban people you don't agree with but I'd question if that is really the kind of person you want to be known as. If you talk much with people who object to wind farms I think it's pretty obvious that the most common complaint is about the view. Alongside that there is precious little real understanding of the environmental impacts of wind farms or climate change or of what we need to do to mitigate the latter. That's not meant to be insulting; it's just the way it is (and I'm sure you didn't mean to be insulting by calling me naive). Basically an awful lot of people have been misled by exaggerated and often rather vague claims about the impacts of wind farms. At the same time the threat posed by climate change has either been downplayed or completely ignored. For example just look at the current MCoS petition on 38 degrees: the reason why renewable energy developments are being proposed (climate change) doesn't even get a mention and ridiculously hyperbolic claims are made about wind farm impacts eg "When wild land is developed, it is lost forever". No attempt whatsoever is made to present a balanced argument. The thing is, when wild land is developed, it IS lost forever. Do you see the suburban countryside of England being rewilded? No. It isn't happening, and barring a catastrophic drop in population, it will never happen. It's incredibly naive to believe that future generations will allow developed land to return to a wild state, if such a thing is even possible within human timescales. Only after humanity is gone will developed land be rewilded. And it will take centuries. Climate change is possibly the biggest threat to our species, but this is absolutely not the answer in any way, shape, or form, and I very much doubt your arguments will sway anyone here. I support and have signed the MCofS petition on 38 Degrees and I urge anyone concerned with wild land and nature to do so. I've been involved in campaigning against wind farms for many years and have talked to many people who object to them. Protecting and defending views - natural beauty- is often demeaned by those who don't care about it but it's actually very important. There are of course far more reasons for defending wild land than the view but it should not be belittled. Some of my best memories involve views and wild places. An incredible aurora over the Cuillins. High camps during a temperature inversion looking down on a sea of clouds. Swimming in the river Gour at the end of a long summer's day when the water had been warmed by the sun. Navigating through blizzards from a frozen Loch A'an up to the Ptarmigan. In fact, I never got into munro-bagging precisely because of views. It sounded too much like train-spotting. Instead I visited areas because of the character and sense of wildness of the place. I'd climb the same hill with stunning views again and again instead of simply ticking off summits on a list. 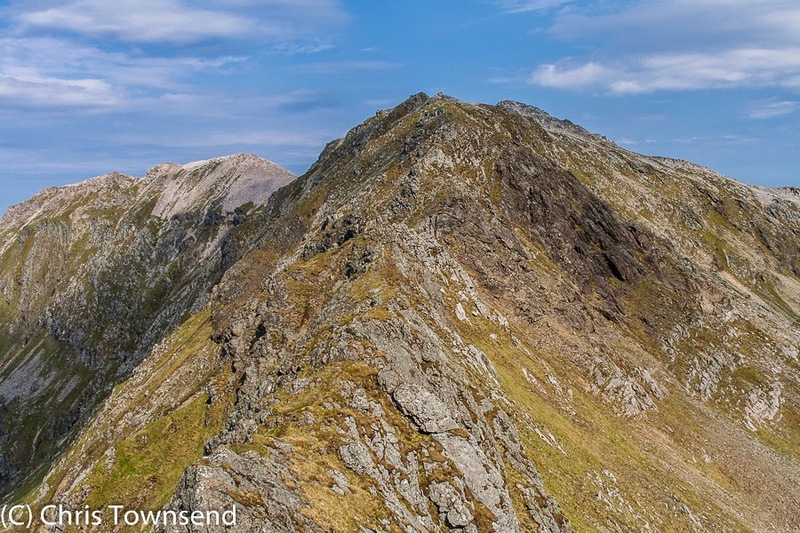 The best viewpoint I know of in Scotland, Sgurr na Stri, is often ignored by baggers on nearby Bla Bheinn. Usually I'd be the last one off whatever hill I was on, trotting down in the dark with a headtorch, precisely because I'd stayed on to enjoy the view and watch the sunset. So I don't in any way belittle views or wilderness: I just wonder what all the fuss is about. It seems to me that many people are being led into supporting an unreasonably extreme position. For example, someone from the MCoS was recently quoted in the Herald complaining about the visual impact of 150m turbines from a distance of 10km. If you hold out your arm and stick your thumb up, that's smaller than your thumbnail. The truth is that a sense of wildness has much more to do with the absence of other people than anything else. Wind farms don't interfere with that. The sky is just as vast. The wind will blow away your city life just the same. Some human intrusions into wild land are worse than others. I've often regretted the fact that the A82 passes through Glen Coe and wished that the glen lay at the end of a two-day walk to add a sense of remoteness and wildness to the stunning scenery. The road, traffic and general busy-ness of Glen Coe takes something away. On the other hand, imagine you were walking along the south end of Trieg as a train passed up the side of the loch. I can't explain why but the railway only seems to add to the sense of remoteness. The people on board who pass briefly through the landscape and are gone only emphasise how empty it is. The noise of the train rising and fading into nothing only emphasises the quietness. And wind farms? I've been on walks where vague, indistinct blobs were visible on the distant horizon but the walks weren't spoiled. I've even stood directly under them on Windy Standard gazing at a turbine-free view west of Cairnsmore of Carsphairn. That day wasn't spoiled either. I'd definitely prefer if they weren't there but a wild piece of land is still a wild piece of land. In time there will be no trace the turbines were ever there, just like all the other traces of human impact in these "wild" places. There is one petition I would like to sign though: a petition to ban mobile phones and GPS devices from the wild places of Scotland. What is the point of an adventure if it doesn't force you to rely on your own skills and judgement and if there is no penalty for failure? If you always know exactly where you are and can call for help at a moment's notice, the hills become smaller and less challenging. Now that really is a sad death of wilderness - and it happens without any physical impact whatsoever. Wilderness, in the end, is all in the mind. Noel, what you've done is irrelevant. Anyone who can say that wind farms - an industrial development - don't interfere with a sense of wildness has no deep appreciation of wildness. Noel, you are a professional wind advocate, littering every blog and forum with your comments. You in fact remind me of Antipov, in 'Doctor Zivagho', sitting in his armoured train, with his deluded, cold stare, blinded by his ideology. It is so obvious that far from thinking that wind farms are necessary evils you in fact *positively enjoy* their advance, *precisely* because they cause damage, precisely because they are so visible, and so useless, so that people can see your Faith, and tremble before it. Let me just pick your usual canard that "in time there will be no trace" of the turbines. You know that's total rubbish, the tracks and the pylons and the concrete will be there forever. No way they will eve be obliterated. I always cite the old track up Beinn a' Bhuiridh. It cost a fortune to try and mend a couple of miles of track and you can still see it. There will never be enough money to restore those tracks, or the concrete, and even if there were, it would take hundreds of years for nature to recover. And as for the supposed obsession with views on our part: it's not the views that matter, it's the damage to the land. I already linked to the blog entry below on the Lochluichart wind farm when you had made a previous incursion into Chris's blog. I invite you again to shed your blind ideology for a moment and take a hard long look at these images. This is just one of many such plants in the Highlands. If you think it's all right to inflict that kind of damage, and that's no big deal to have diggers, concrete and steel, tracks like that permanently scarring the Highlands, then as Chris says you haven't got a clue as to what wildness is. And if you think wilderness is in the mind, your mind must no doubt be pretty wild indeed. You are much ruder than you need to be to present your argument. Perhaps you think you can get away with that here - and who knows perhaps you can. However, this only helps to make my point about anger, extremism, and lack of a sense of perspective. The only physical environmental impact mentioned in your post - a claim that tracks and pylons will be there "forever" - you immediately contradicted by saying that nature would recover in a few hundred years. I was going to reply but you've pretty much done it for me! All I would add is that you should try to weigh these minor, temporary (relatively) impacts against the real conservation threat which we face. The CO2 which we pump into the atmosphere today won't affect the climate for a few hundred years but for hundreds of thousands of years - quite possibly destroying most of the UK's peatlands in the process. After a global extinction biodiversity will not recover in a few hundred years: it won't recover for millions of years. If you have anything which you think can match the scale and depth of the environmental destruction threatened by unmitigated climate change let's hear it. I've asked this question many times and never had a real answer. Chris: what I've done is not "irrelevant". I've got a lifetime's experience of the wild places of Scotland and many wonderful memories. My opinions are every bit as valid as anyone else's on your blog, including yours. PS: I wouldn't quite say turbines don't interfere with a sense of wilderness but they certainly don't annoy me as much as they do you. Also, I would not dream of putting my own aesthetic senses before concrete, environmental harm which will impact every nation and every corner of the globe. Just the thought of industrial developments in wild p!aces ("Wilderness, in the end, is all in the mind." as you said yourself, Noel.) degrades or even destroys a hope for the values of serenity, healing, and the adventure that you quite understandably seek, Noel. Im not prepared to compromise these values and hold out my arm, stick my thumb up to conceal these desecrations. I could draw a moustache on the Mona Lisa and suggest to naysayers to hold out their arms and stick their thumbs out when viewing it. An effective solution. Doesn't make it OK, does it? As has been said before, we need wild places even if we don't set foot in them. Worth making a fuss about, no? Of course - within reason. However I think it's fair to say that what the MCoS is doing isn't wilderness advocacy: it's wilderness fetishism. A blind insistence that we must protect wilderness from any form of visible human construction, at any distance, is just absurd. It's quite an extreme idea which isn't shared by everyone - not even all outdoors folks. It's also a very different argument to that of tangible, environmental damage. That must surely take priority over any aesthetic sense of wilderness? Destruction of wild land - which you favour - does lead to tangible, environmental damage. And an aesthetic send of wildness is absolutely essential anyway. We might disagree but it doesn't follow that I am "lying". In fact I did not misrepresent the MCoS position on visual impacts on wild land. In numerous policy documents and statements, MCoS spokespersons have repeatedly made it clear that, in certain areas, visual impacts from wind farms are unacceptable at any distance, near or far (except possibly for small numbers of low-height turbines near existing buildings). "Large schemes occupy many square miles of land, transforming their character and degrading the visual amenity for miles around. "We also share with SNH, and others, a deep concern that the scenic value of our landscapes can be corroded by an accumulation of wind farms within sensitive areas, or around their edges. 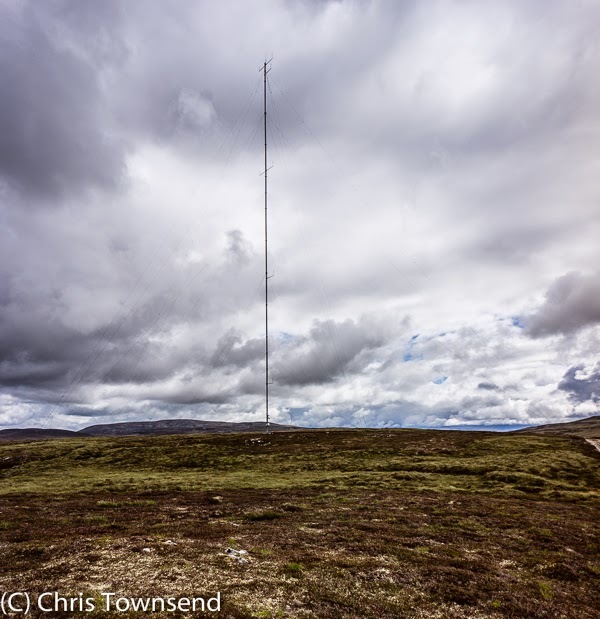 "A halt to all commercial wind farms encroaching on the land of the Munros and Corbetts, or having an adverse or significant impact on their visual amenity. "The most immediate threats come from inappropriate developments, such as industrial scale wind farms and unsuitable hill tracks, which damage the character and social value of these landscapes. "Large clusters of turbines are highly intrusive and destroy a wild landscape. "Careful positioning can sometimes reduce the impact, but usually they remain visible for miles in many directions. I don't favour the destruction of wild land but I am prepared to accept some (relatively) minor, non-permanent impacts. We're approaching a strict environmental bottleneck which doesn't care what you think, or what I think, or what anyone thinks. If we're smart and committed we can squeeze through it with a minimum of environmental damage but if we fail to grasp the issues clearly and fail to act decisively we'll risk so much more than a sense of wildness. In any case, many people would wonder how a fundamentalist, zero-intrusion aesthetic relates to the reality of the landscape which we have inherited. In all of Scotland, where can you stand and *not* see the hand of man? You said the MCof S says 'we must protect wilderness from any form of visible human construction, at any distance'. My quotes and yours show that this is not true. I agree completely with the MCofS - though I wish they took a harder line against wind farms on the edge of wild land - and I think it is completely wrong to describe the industrialistion of wild land with wind farms as '(relatively) minor, non-permanent impacts'. Neither I or the MCofS has a 'fundamentalist, zero-intrusion aesthetic'. The old canard of where can you not see the hand of man is always used by those who wish to destroy nature and wild land. It seemed to me that the above policy statements were pretty strongly against visual impacts of turbines both when sited within a wild area or when sited outside a wild area but still visible from it. If I remember rightly, the SNH adopted a 30km (!) viewshed for visual intrusions in their wild land map. A 150m turbine at 30km would appear to be the same size as an object only 5mm high at arm's length. I don't want to destroy wild land but I do want to challenge what I believe is an unnecessarily inflexible idea of wild land. We don't have any untouched landscapes and in my opinion our wild places are defined more by very low visitor numbers and remoteness from tarred roads. Assuming we are going to make a serious effort to tackle climate change, predicting future energy usage and production capacity can get quite complicated. For example, could we persuade everyone to turn their central heating down 1 degree and use public transport more? Can we rely on biofuels to supply a significant chunk of energy production when global food supply could increasingly be disrupted by a changing climate and therefore non-agricultural land use would be difficult to justify? As a rule of thumb, suppose we decide that the extra capacity required from onshore wind is about 200 Stronelairgs. Many of these will have to be sited in upland areas because that's where the best wind is. I do believe that the MCoS has an important role to play in helping to decide the best places to put them but if instead it stubbornly attempts to block this big expansion of onshore wind it risks being seen as unreasonable and so losing any influence it might have. I'll leave it there. Until next time, thanks for hosting this discussion on your blog. MCofS is being unreasonable? UNREASONABLE? The soul shop was clearly out of stock when you went in to purchase yours. Chris' stated view point is admirably in-depth and reasoned and, above all, passionate. Pardon me for restating what has often been said in the context of this debate: human beings are not machines and they need nature and wild places to provide spiritual sustenance and relief from the stress onslaught that accompanies "modern" human life. Perhaps the blight that has been visited on my life, and the lives of other people who actually care about Scotland and its wild heritage, does not enter into your calculations. Believe me, when your peace of mind has been destroyed for ever, YOU CARE. If someone invented a game of "wilderness soul top trumps" I guarantee you would not want to play me for money :) An appreciation of wild places is not the issue here: an appreciation of the environmental impacts of climate change is the problem - that and a sense of perspective. To think your way through this you have to do two things. The first is to try to quantify the environmental impacts and associated recovery times of (say) another 150 or so Stronelairg-sized wind farms situated in areas with good average wind speeds in Scotland. The second is to try to quantify the environmental impacts and associated recovery times of unmitigated climate change. Once you've done that, and weighed up different impacts in the balance, there's really not much left to argue about. It makes a lot more sense to catch a cold and so avoid developing a cancer than the other way round. Turbines would cause some localised, temporary damage to some of the UK's peatlands in upland areas but a warmer climate could simply wipe them all out, except for a rump area hanging on in the North-West. For this and many, many other reasons it is simply unthinkable that we should continue to find excuses not to tackle climate change. Noel, you're completely wrong and setting a false agenda. To defend wild land - and despite your protestations you clearly have no real feeling for it - all the stuff about 'associated recovery times ' etc is completely irrelevant. The idea that turbines would only cause 'localised, temporary damage' is laughable. You don't understand the point about building on peat releasing CO2 either. It is completely unthinkable that 150+ giant wind farms should be built in the Highlands. As far as having no feeling for wild land, yesterday I was filming and recording the evening birdsong in a clearing in a deep, dark corner of a forgotten woodland where nobody ever goes. My luck was in and I managed to get an owl on tape, echoing through the trees. I'll also work on some music later inspired by the "spirit of place". So if you really think you want to play me at wilderness top trumps, have at it but it would probably be better if you stopped calling into question my feeling for the natural world. Once you make a scientific argument - eg CO2 emissions - you have to follow it through dispassionately and rationally. The scope for disagreement about matters of science is limited. For example, there are another two factors in the emissions equation: CO2 saved by the wind farm, and CO2 released by potential peatland damage in a warmer climate. If the latter threatens to devastate UK peat bogs**, the small-scale localised damage caused by wind turbines is kind of moot isn't it? Even without this climate threat, many projects would save far more emissions than they create. The details do vary considerably depending on the specifics of a particular proposal, the site, working practices, and even the number of wind farms already installed. At Caplich, for example, they are building on an already degraded peatland and seem to think they can re-use excavated peat to improve the habitat. In other locations, some particularly vulnerable peatlands might not ever be suitable. Recovery times: a consideration of recovery times is clearly very important when peatlands will in time make a full recovery from the impacts of wind farms but (in some locations) may be permanently destroyed by a warmer climate. It would be possible to keep the 150 additional Scottish wind farms out of the Highlands if you squeezed them all into the Southern Uplands. I could support that but it would be fairer to spread them around a bit more. PS: that's 200 Stronelairgs across the UK - not all in Scotland! Tell me again how wind farms built on deep peat are going to save the planet? You have never answered this question I have put to you on a number of blogs. Quite why Chris gives you room to air your poisonous views beggars belief. You're a better man than I, Chris. You're better than you think or know, Alan. "For this and many, many other reasons it is simply unthinkable that we should continue to find excuses not to tackle climate change." I don't think I have ever come across anyone who loves the outdoors who seeks "to find excuses not to tackle climate change." Certainly not on this blog. Do you think Chris or the SMC/BMC etc. lie awake at night thinking up "excuses not to tackle climate change." ? - 'Hrrrumph!! Those pesky do-gooders trying to save the planet with their windfarms! We must think up an excuse to stop tackling climate change!'. For that is in effect what you are implying, Noel; that there is a continuing agenda by advocates for a healthy ecology to not tackle climate change. If I were to be emotive, I'd say that was stupid. And of course I think climate change is a major problem and challenge, as do the MCofS and the JMT, who recently signed up to the Planning and Climate Change Coalition Manifesto (http://www.jmt.org/news.asp?s=2&nid=JMT-N11011). But people like Noel think that if you oppose a wind farm then you're against doing anything about climate change. It's going to be very difficult to make deep cuts in emissions and I can't see any way to do that without a big expansion of onshore wind. We won't be able to avoid encroaching on wild land either directly with turbines located within wild land areas, or indirectly with turbines visible from these areas. Several conservation/outdoors groups are pursuing policies which are incompatible with this and so you have to question just how serious they are about climate change. We can afford to make some compromises with some areas of wild land because the impacts and recovery times are relatively minor in comparison to the worst effects of climate change. Just a couple of days ago a new paper was published in Nature Geoscience** which found that there is a region in East Antarctica which appears to be in the same process of unstoppable collapse as the West Antarctic Ice Sheet. The two together would ultimately create at least 25ft of sea level rise - and that's just the conservative estimate. The collapse would take a few hundreds years to unfold and then would last for tens of thousands of years until there is another glacial period - assuming the climate hasn't heated up to an extent which interferes with the natural glacial cycle.